Fielders delivered a complete integrated steel flooring solution to a new 23-storey office tower in the heart of Adelaide CBD. Working with Synergy Constructions and PT Design, Fielders supplied a total of 6,100m² of their SlimFlor steel formwork system for installation across all floors of the towering structure located at 115 King William Street. Opened to tenants in November 2016, the office tower is the fourth tallest building in Adelaide, and a striking and prominent addition to the busy city street. Featuring open-planned and light-filled office spaces throughout, the building sits amidst the best of everything the CBD has to offer, including upscale restaurants, Adelaide’s key shopping precinct, Rundle Mall, and all four major banks. Synergy Constructions chose SlimFlor steel flooring for its ability to provide a long-spanning, cost-effective integrated steel flooring system as well as a design that permitted the effective use of universal beam sections. To provide a floor system with a reduced construction zone, SlimFlor utilises Fielders KingFlor CF210 flooring profile in conjunction with Asymmetric Steel Beam Sections (ASB). The steel formwork combines the floor slab and supporting structure in the same plane, delivering a lightweight, versatile, and long-spanning floor system, effectively streamlining the construction process, and providing the best possible flooring system for the 86-metre high tower. Fielders’ National Commercialisation Manager, Nathan Jack, recommends the KingFlor flooring profile as the perfect solution for large-scale multi-storey projects of this nature. Mr Jack explains that the product’s framework offers longer spans and a deeper profile that result in an easy and efficient installation process. Two of the major benefits of SlimFlor are faster construction time and reduced associated costs, setting the steel flooring product apart from other solutions on the market. Each of the five profiles in Fielders KingFlor range has been developed to provide the most optimal flooring solution on the market. 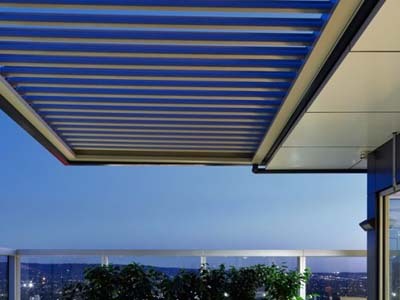 These include two trapezoidal profiles, two re-entrant profiles and a deep deck profile.